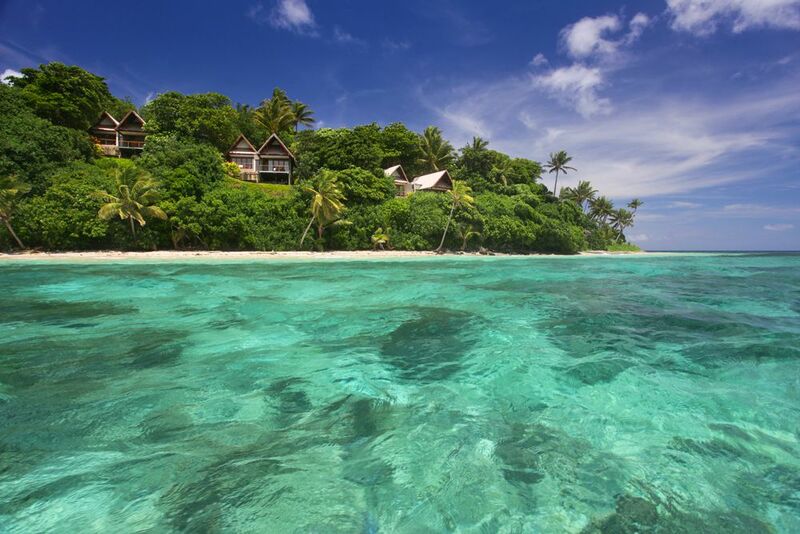 The Royal Davui Island Resort is beautiful from every angle. It feels like a luxury paradise from the moment you set foot on the island after a breathtaking helicopter ride. The welcoming staff awaits you with pure southsea charm. The Savui East Suites are spaciously designed and await you with wonderful views and elegant details. Enjoy the breathtaking view while relaxing in the whirlpool. The Suites offer great private terraces with sun beds. The evening atmosphere is unforgettable. You don't have a favorite cocktail yet? Let the Bar staff surprise your taste buds. 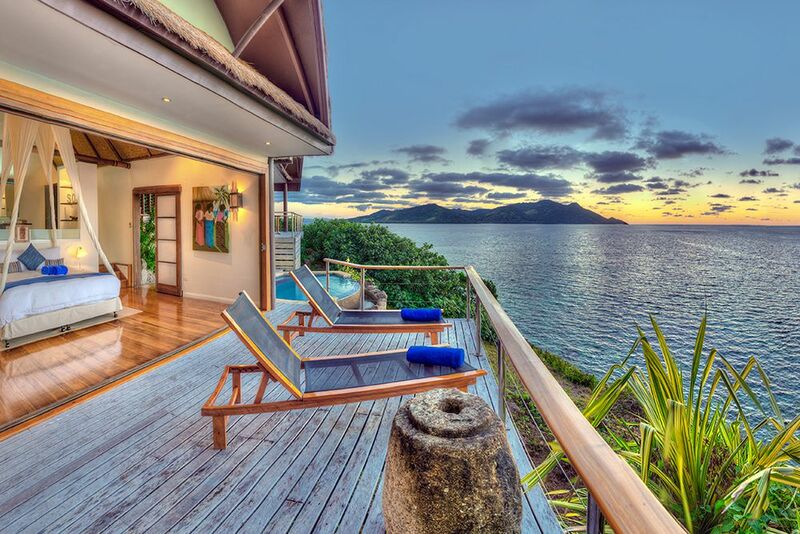 Welcome to paradise: The house is surrounded by lush green on the magnificent private island. The Pool Suite on the west side of the island is just as beautiful as on the east side suites. The rooms are open to almost all sides, so that you can enjoy the dream-like view from your bed every evening and morning. The comfortable sofa completes your experience in your suite. The West Villa is bathed in romantic light in the evenings. 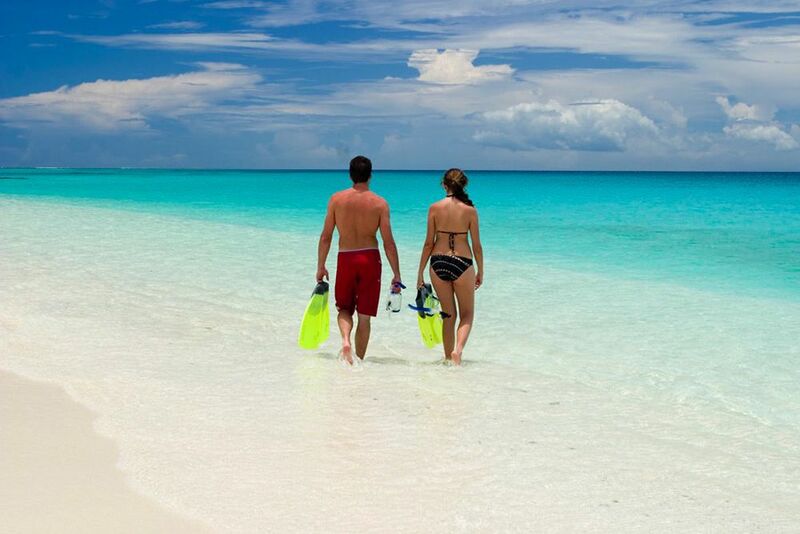 Crystal clear water invites you to snorkel, dive, bathe and more. 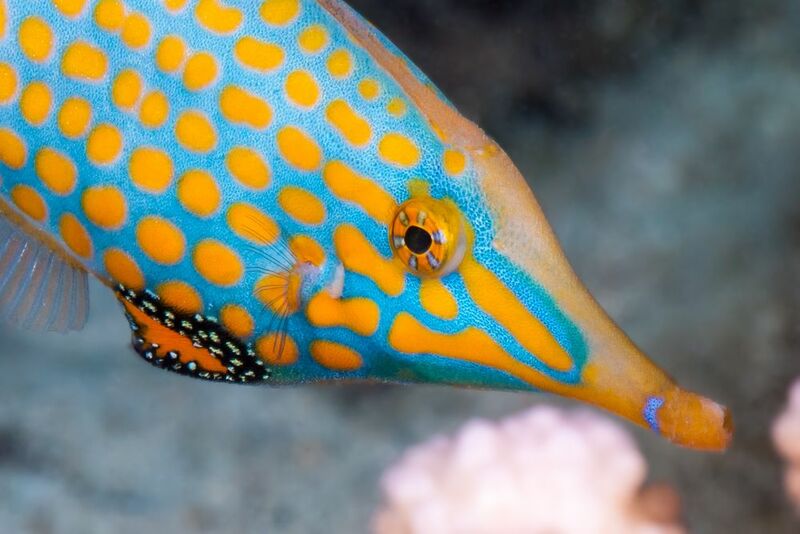 The underwater world is as beautifully magnificent as in a book. 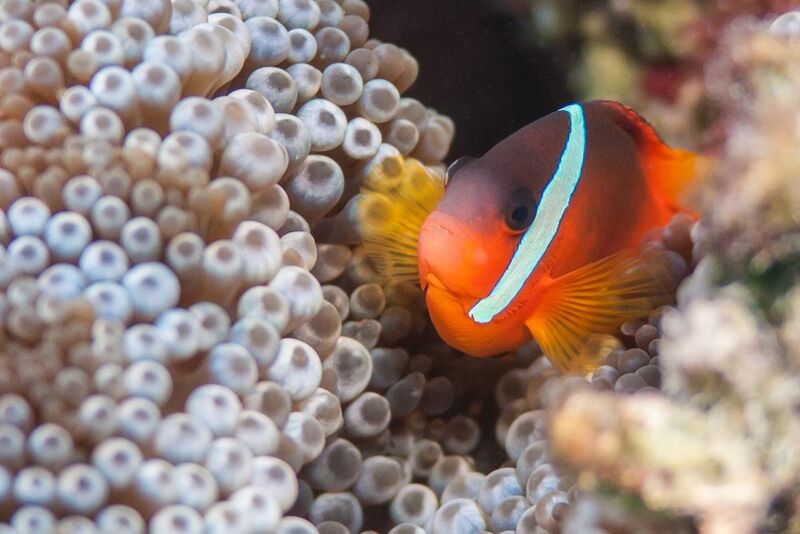 Let your eyes feast on fish and corals that can only be found in the South Pacific. The hotel has ist very own diving base - goodbye boredom! 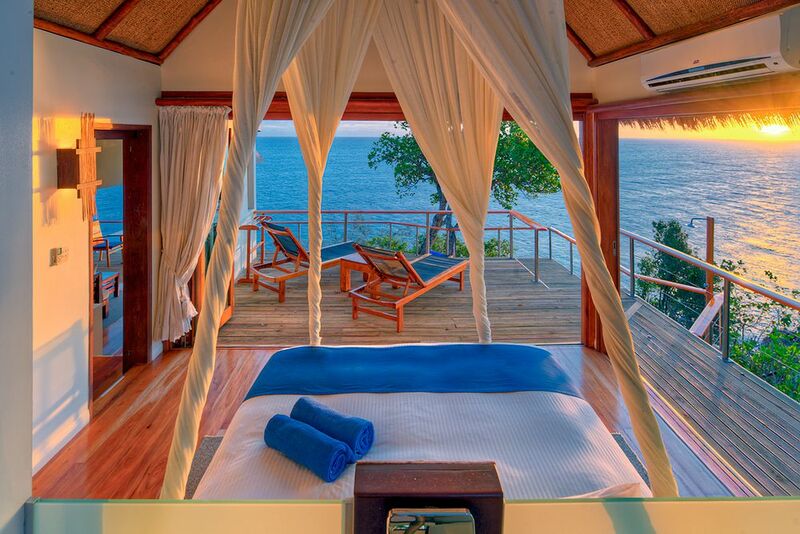 You can enjoy this view from the Premium Pool Villa. 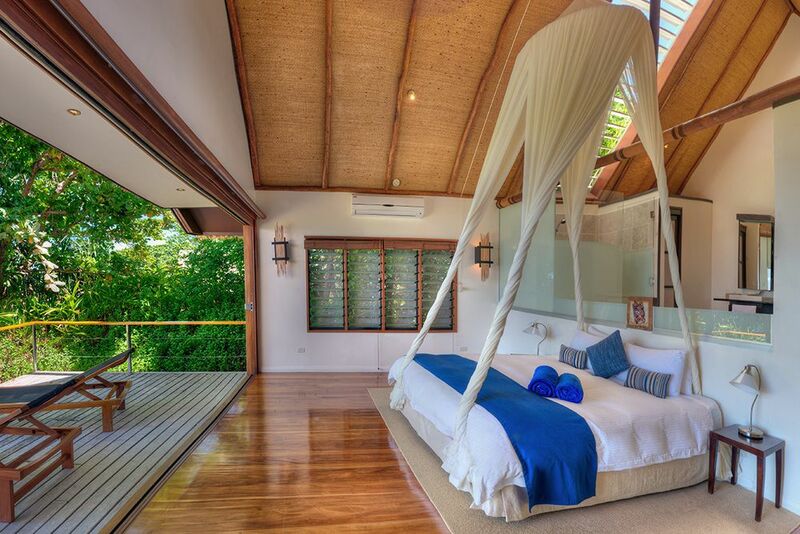 Comfortable beds and verandas are at their best in the Pool Villa. The Pool Villas are surrounded by subtropic vegetation. A powder white beach awaits on your front door. The decorations in the Premium Villa mix modern and traditional elements. A dream bed guarantees replenishing and superb sleep. 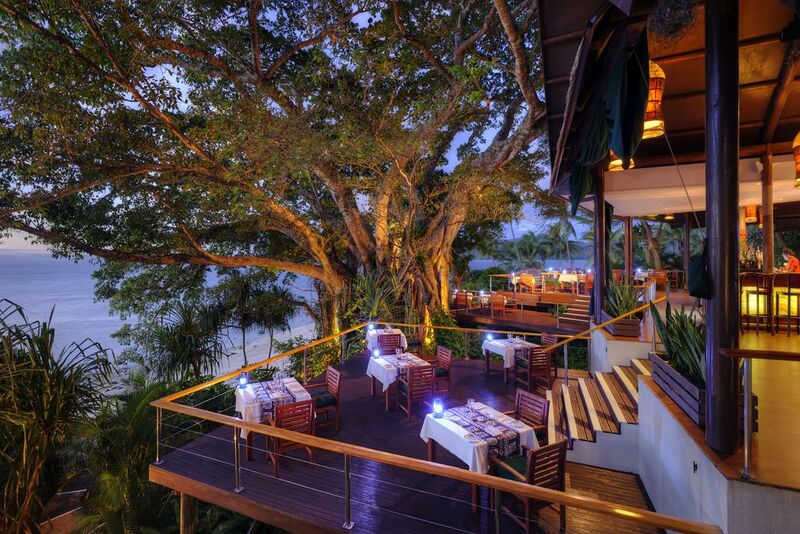 Enjoy culinary delicacies with breathtaking landscapes. 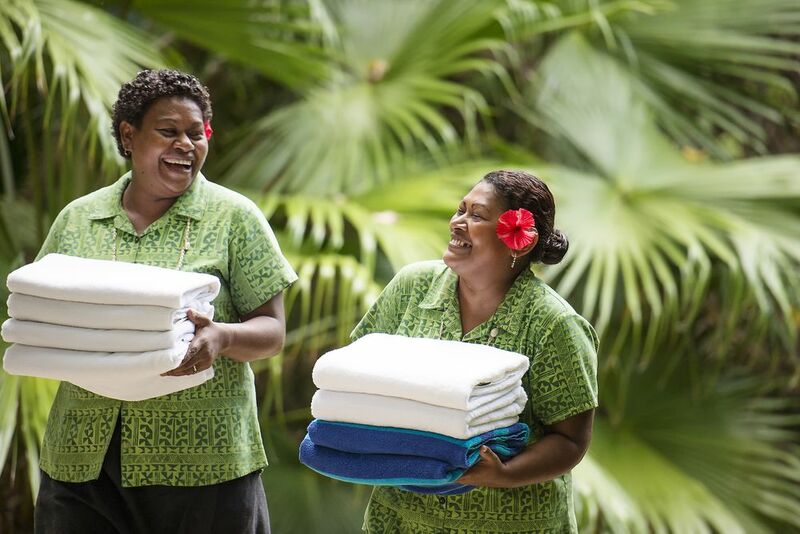 The Service lives up to 5-star standards with ist excellence: friendly, anticipating and fijianically cheerful. 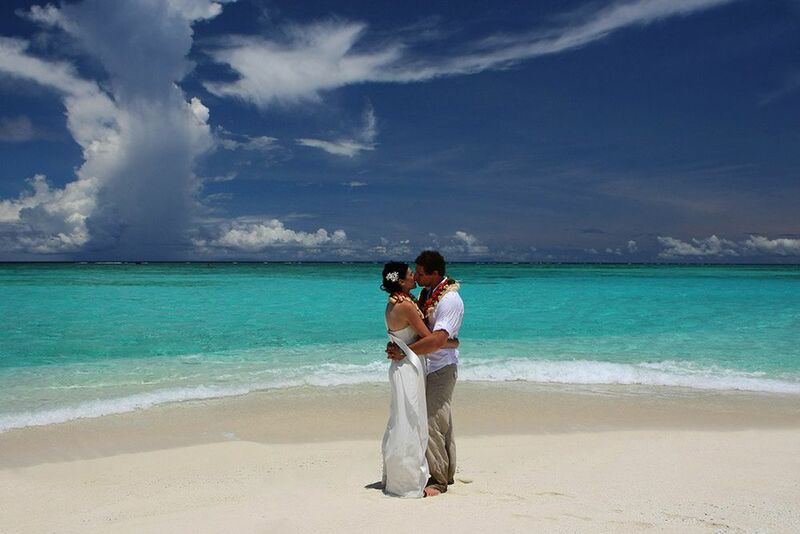 Yearning for a wedding in the South Pacific? 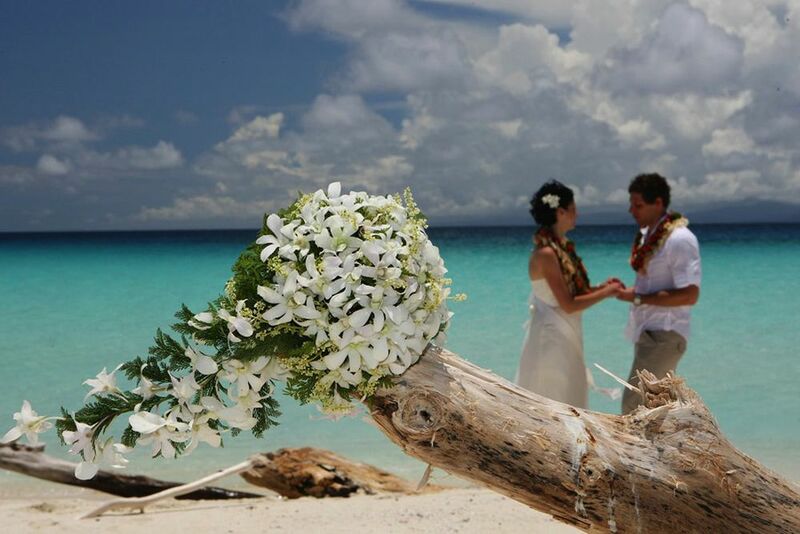 The Royal Davui aslo offers the opportunity of a dream-like wedding that makes all your wishes come true. 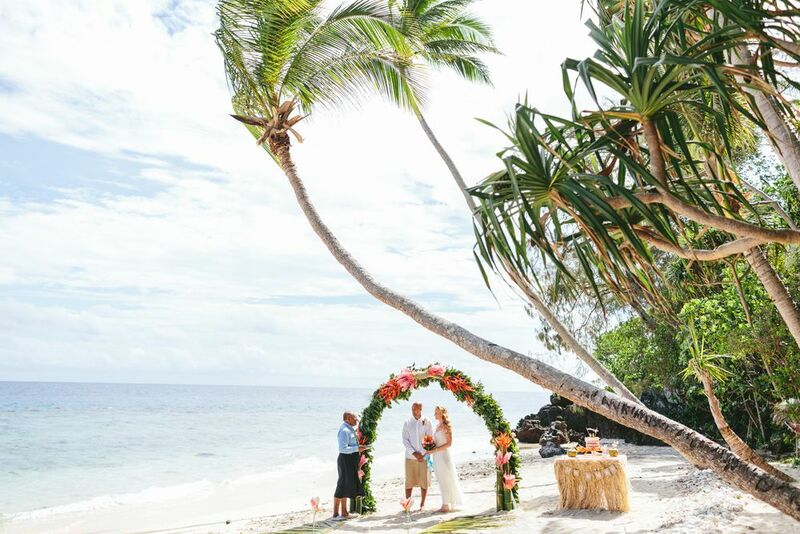 It doesn't matter whether you simply want to renew your vows..
...or wish to create an entire wedding - the private island remains the perfect setting. 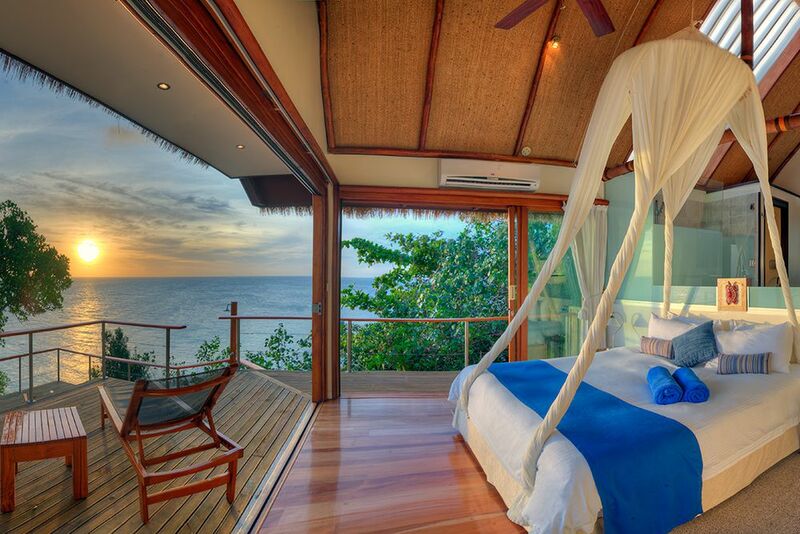 It's the perfect place for honeymooners, too. Enjoy a woderful menu in the evenings, which changes on a daily basis. 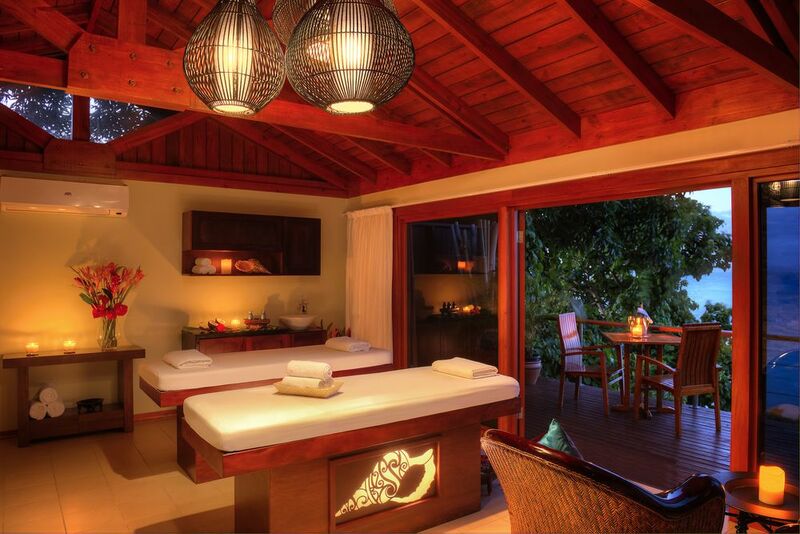 Let yourself be pampered in the hotel's very own spa. The setting makes a simple walk along the beach a dream-like experience. A very exclusive and elegant adults-only resort located on a small private island is calling your name! Surrounded by beautiful coral underwater worlds and white sandy beaches, it is the perfect place for diving and snorkeling enthusiasts. 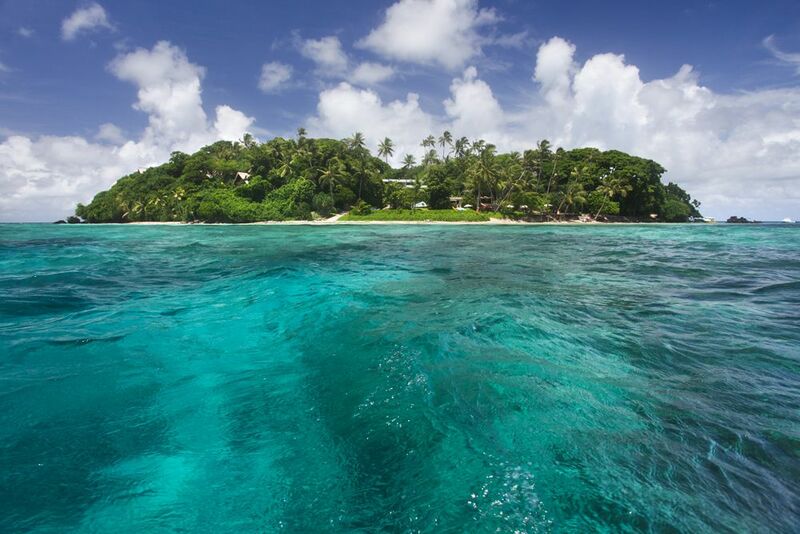 Royal Davui Island offers exclusivity and relaxation for the ultimate private holiday experience. Escape to a paradise for the body and soul. 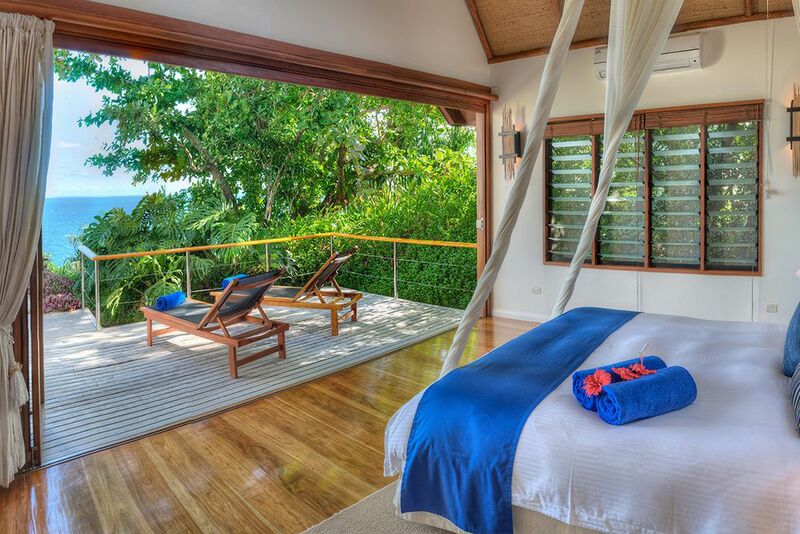 Privacy and intimacy are key on Royal Davui Island Resort, nestling all the villas into the lush tropical gardens complemented by remarkable views of the lagoon. The exclusive adults-only sanctuary is situated in Fiji’s spectacular, crystal clear Beqa Lagoon, and surrounded by the colorful underwater world waiting to be discovered. The unique tropical landscape combines with the beautiful beach areas where you can not only experience ultimate relaxation, but also experience endless adventures. Snorkeling, diving and other sports activities are also popular while staying on the island. 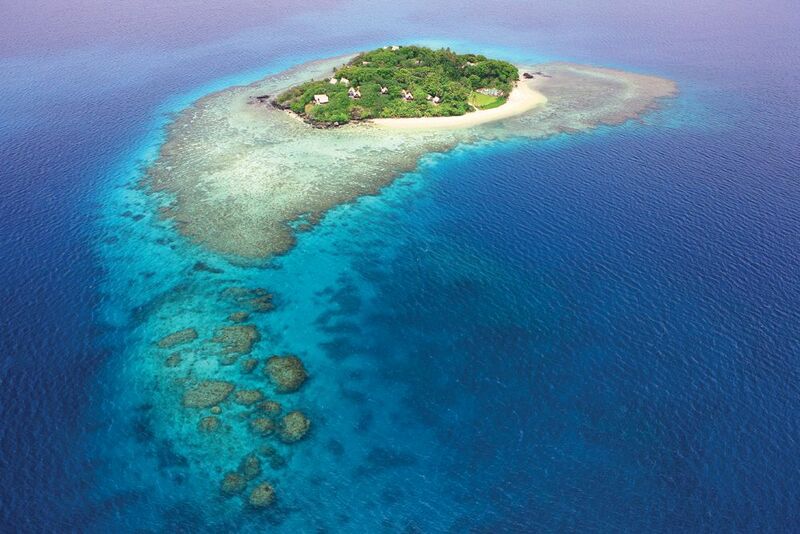 From Nadi airport, you can reach the island in about 3 hours by water or about 40 minutes by helicopter. 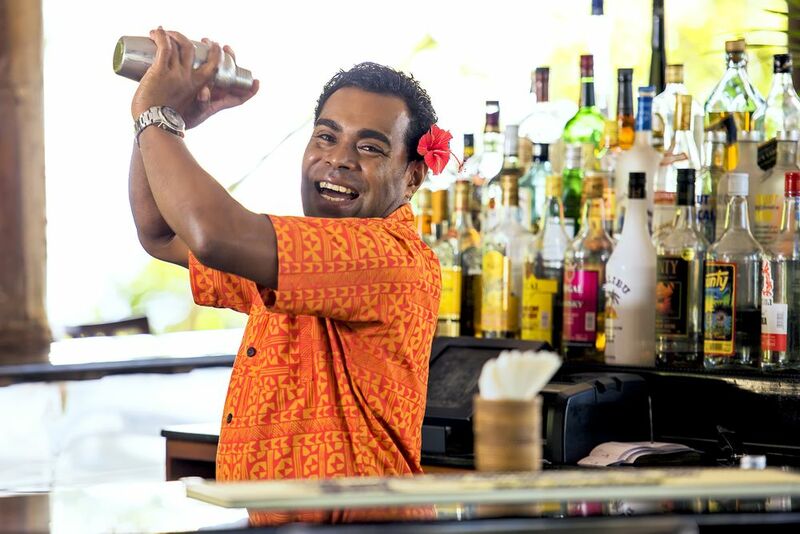 The Royal Davui Island Resort offers a high standard of Fijian luxury, elegance and privacy that one doesn't find in the larger resorts. 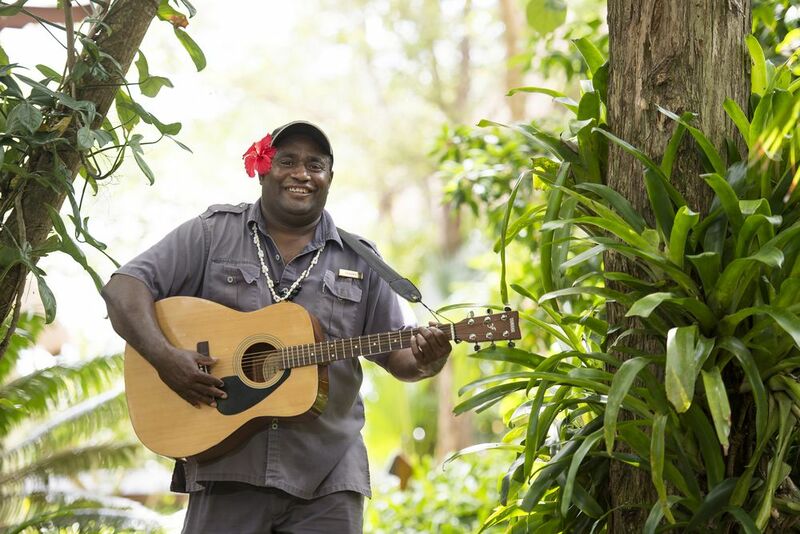 The resort’s world-renowned warmth and hospitality of the Fijian people awaits you. 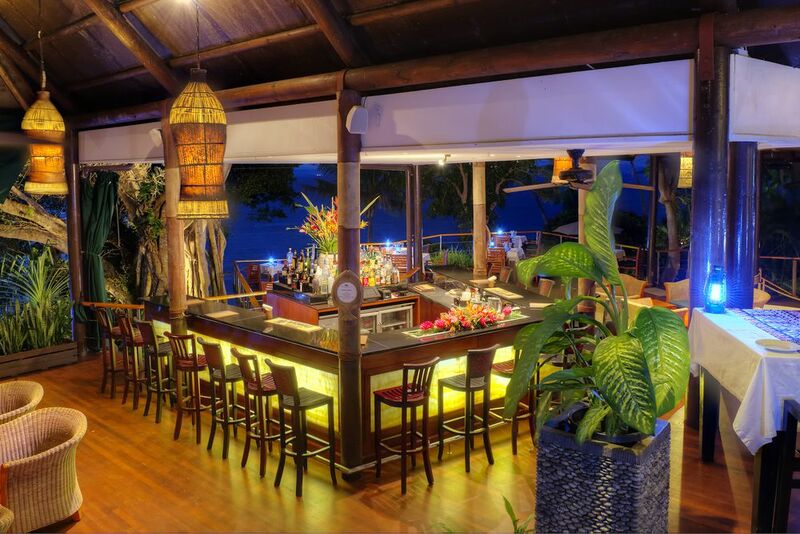 The elegant and luxuriously furnished hotel combines with modern style for a relaxed Fijian atmosphere. 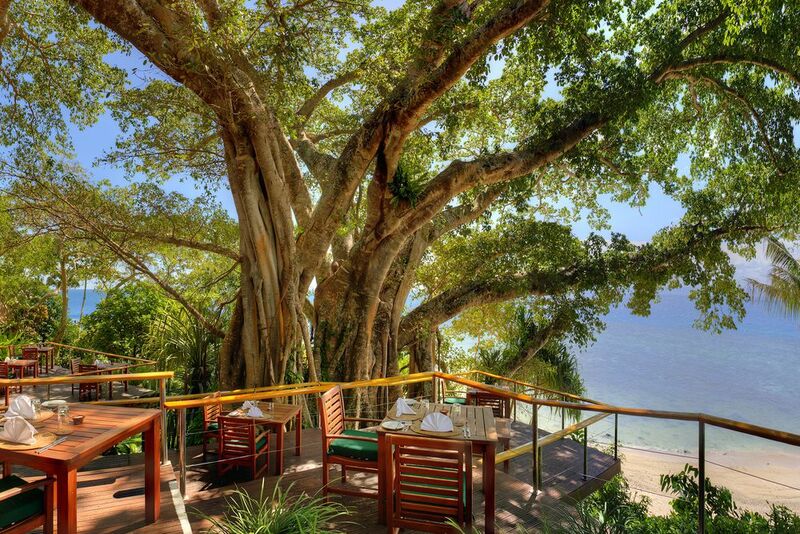 The great Banyan Bar and Restaurant is located directly under a Banyan Tree. The menu changes every day for a unique culinary experience! The chef also caters to your individual needs and creates a private experience upon your request. Book a romantic dinner on a private deck of a villa for a special night with your partner! Start your day on a relaxing note and enjoy a private breakfast on your terrace. Enjoy the bright blue sky and listen to the tranquil waves hit the inviting shore as you get energized for your adventurous day. 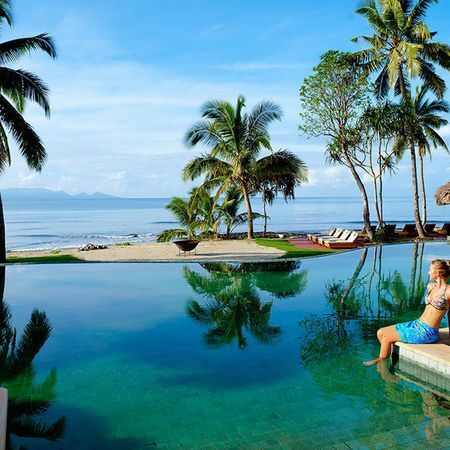 In addition, the resort has a bar with semi-open architecture, a swimming pool with umbrellas and sun loungers, a TV room, a reading room and a boutique. Harmoniously blending into the tropical vegetation, the 16 villas of the complex nestle themselves around the whole island. 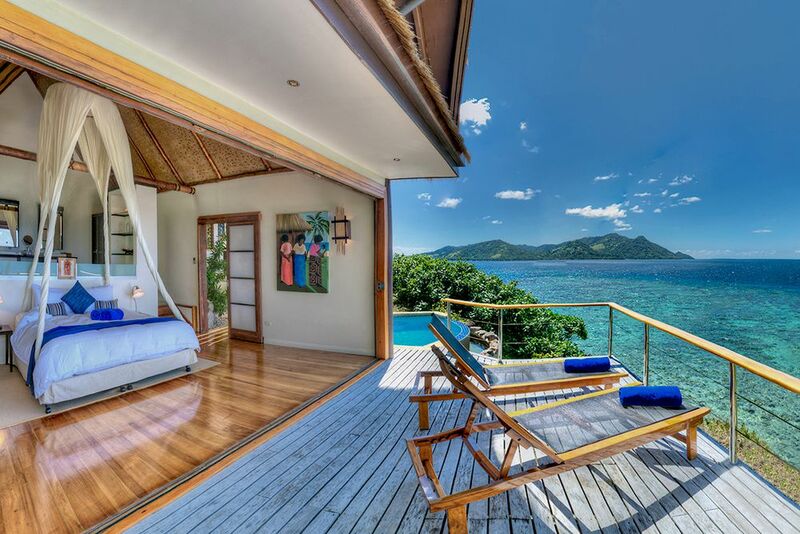 The villas are known for their fantastic views and maximum privacy. All rooms are equipped with king-size beds, bath/shower, toilet, air conditioning, hairdryer, safe, minibar, refrigerator, tea/coffee making facilities, telephone, sea views, private plunge pool, terrace, outdoor shower, Jacuzzi, private bar and iPod docking station. Island Plunge Pool Vale—Open your front door, and take just a few steps to the southern beach to sink your toes into the warm sand. 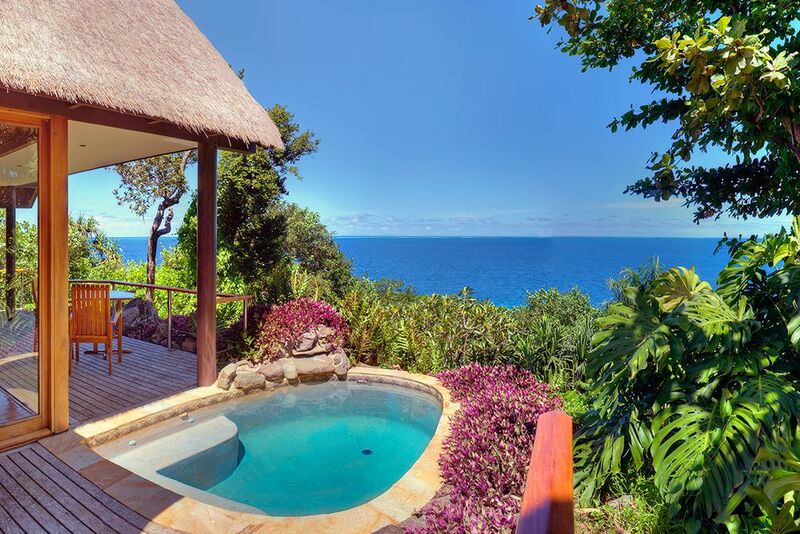 Deluxe Plunge Pool Vale—Look out across the magnificent Bequ Island landscape from the two-story high villa. 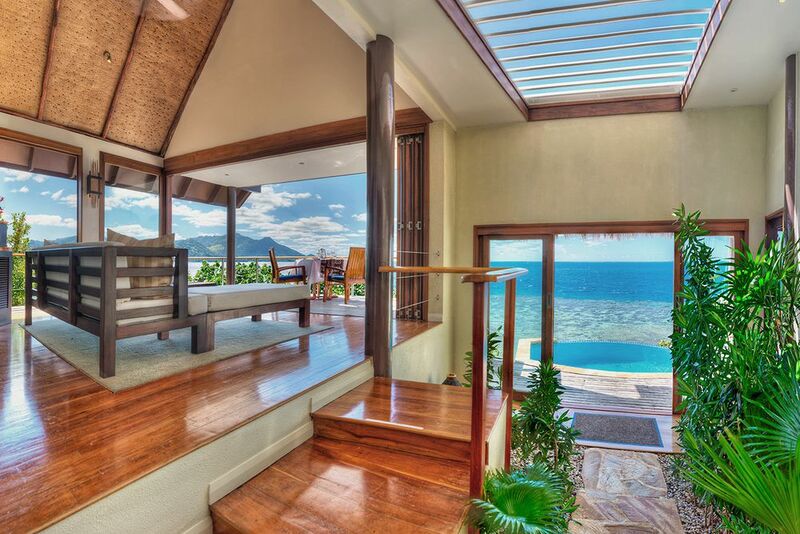 Premium Plunge Pool Vale—The elegant tropical design complements the casual Fiji lifestyle. These villas have especially large terraces and impeccable views towards the west. 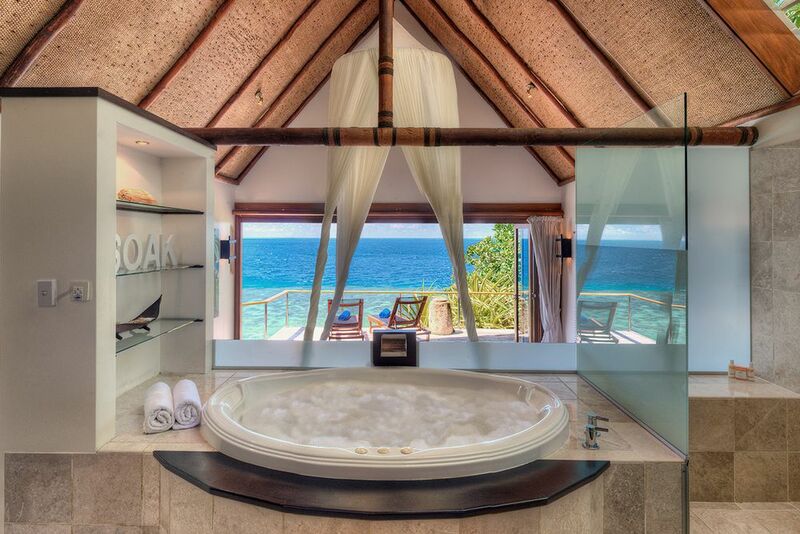 Royal Davui Plunge Pool Suite—Perfect for honeymooners, these villas are some of the most private on the island. 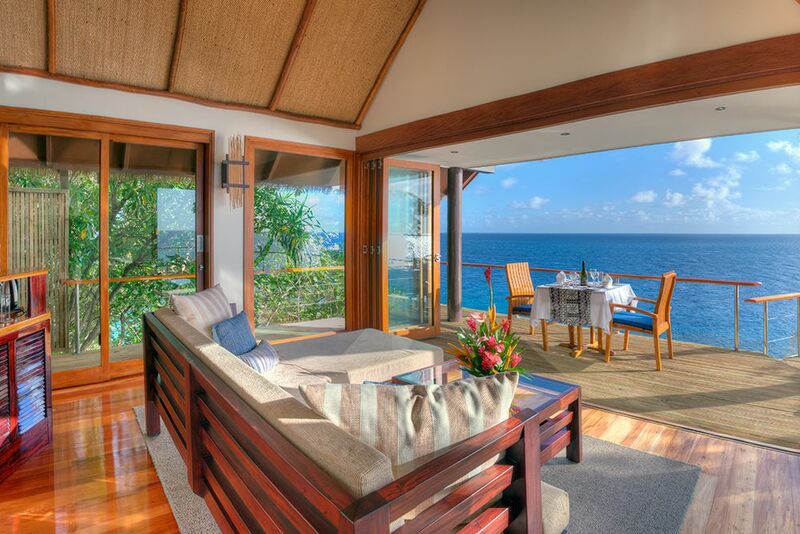 The largest bungalow of the resort offers the highest privacy and exclusiveness. Deluxe Villa (66 sqm)—The stylish, modern and pacifically furnished villa has a wonderful bath, which is partly open to the comfortable bedroom, has a large shower under the roof, which can be opened, a separate toilet and a whirlpool, toiletries, a hairdryer, bathrobes, 2 sinks, a radio, a CD-Player, a telephone, an iron, air conditioning, ventilator, minibar, coffee and tea station, a safe, separate living room and bedroom, 2 furnished sun terraces with a small pool and a breathtaking view of the lagoon. Premium Villa(75 sqm)—Just like the Deluxe Villa, with a nicer location. The Wi-Fi is free of charge in every villa. Indulge at the Davui Spa Fiji, famous for its beauty and exotic nut based cleansing, softening and protecting treatments for your skin and hair. Bringing you the best of ancient traditions for today’s natural body care, the spa offers a full range of the stunning treatments designed by Pure Fiji to perfectly combine with your endless opportunities to relax, rejuvenate, and renew while staying at Royal Davui. Sailing, catamaran, snorkeling, kayaking, and beach volleyball are just some of the activities you can do while staying on the beautiful island! 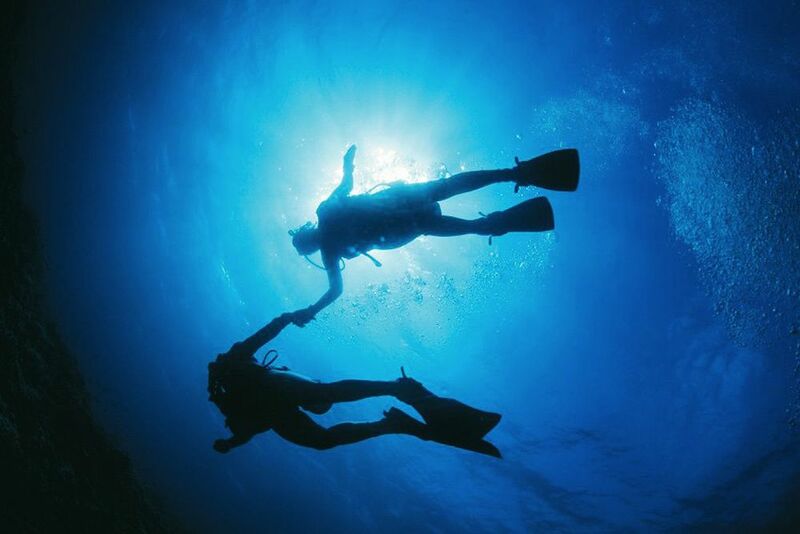 For an additional fee, you can also try diving at the resort’s diving base. Please note the separate payment terms: The complete hotel travel price is to be paid 55 days before arrival at the latest. Please note the separate cancellation conditions: 100% cancellation charges apply, in case of cancellation 17 days before arrival. Book 5 Nights and pay for only 4. 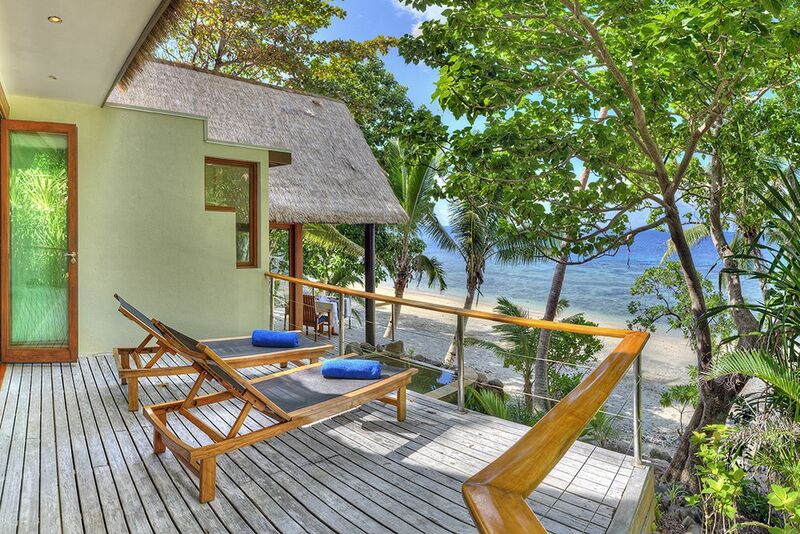 The Special is valid for the following: Island Plunge Pool, Premium Plunge Pool and Royal Davui Plunge Pool Suites. Valid during travel period of: 01.04.-31.03. 2) 7 = 5 Special Book 7 Nights and pay for only 5. 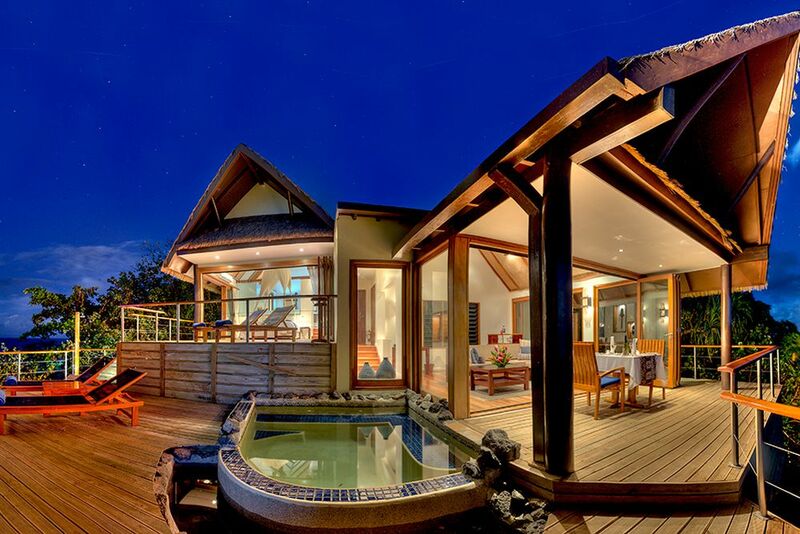 The Special is valid for the following: Island Plunge Pool Vales, Premium Plunge Pool Vales. Valid during travel period of: 15.09.-20.12. and 05.01.-31.03. In the Royal Davui Plunge Pool the Special is valid during travel period of 05.01.-31.03. 3) Honeymoon-Special Guests that stay at the Royal Davui for a magnificant honeymoon or anniversary receive a bottle of champagne and a one-hour Pure Fiji Couples Massage when staying for at least 6 nights.